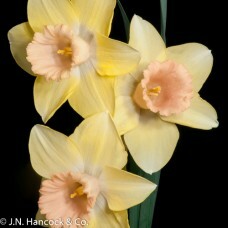 These new breakthrough pink varieties have yellow petals rather than the usual white. 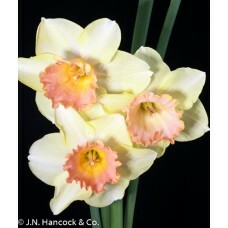 They combine the luscious yellows of the sulphur daffodils with pastel pink trumpets which increase in colour intensity over time. 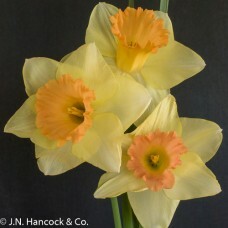 Stylish show flower, the soft-yellow overlapping petals are crowned by a refined mid-pink slightly r..
Eye-catching bloom of refreshingly different colour; broad lemon-yellow petals contrast beautifully ..
A stunningly pretty flower; the deep-pink vase-shaped cup with a prominent ruffle is backed by thick..
An immense bloom of most unusual colour; broad bright lemon-yellow petals complement the deep pink t..
A most unusual flower, delicate soft yellow petals are round and spreading, the bell-shaped corona i.. 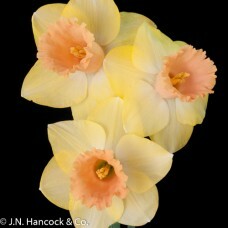 Strongly coloured pastel pink flower. 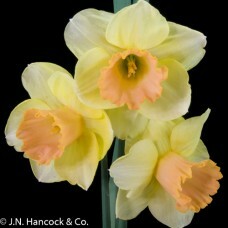 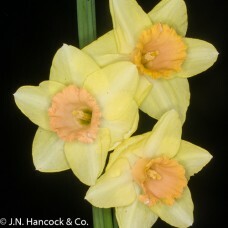 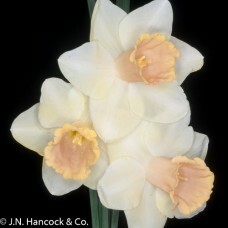 Smooth ace-shaped mid-yellow petals with a lightly ruffled cup..